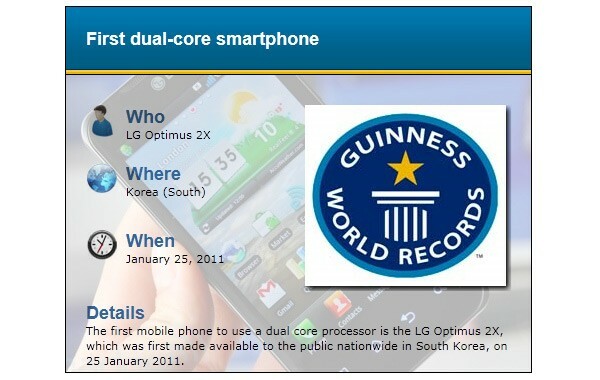 LG's Optimus 2X just scooped up official recognition from the Guinness World Records crew for being the very first dual-core smartphone, which sounds like a good thing, but really it kind of isn't. In its rabid pursuit of the "First!" badge, LG neglected to polish up the 2X's software, leaving a lot of early users feeling high, dry, and in need of a good custom ROM. On the other hand, that very same phone's US variant, the T-Mobile G2x that came a couple of months later, arrived with a nice and shiny stock Android build that really showed off the underlying hardware's true capabilities. So yeah, kudos onanother Record, LG, but next time let's have less haste and more awesome, mmkay?